Anton Corbijn talked a little about Rob and more about Life's release a recent interview with The Playlist. What about Robert Pattinson’s work in the movie? Rob and Dan very different kind of actors. They’re very, very different kind of people in the film, so it was fantastic. They were so different naturally. 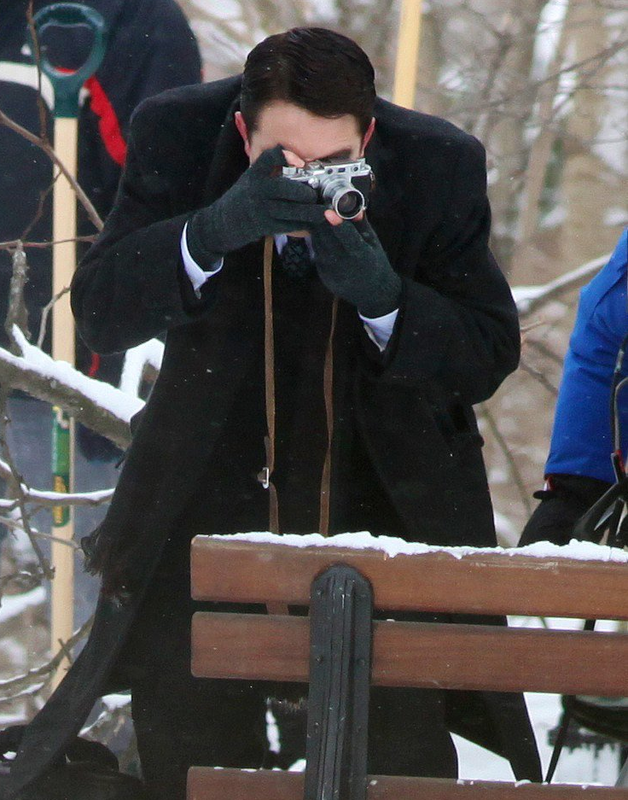 For Rob to play a photographer is quite interesting because he’s being chased by photographers all the time. Rob is of course a film star, but he likes to be seen as an actor, so he works very hard to be an actor and be valued as an actor. And in the film he plays this photographer who wants to be seen as a great photographer. So I think there’s a parallel there that’s helpful. ...Yeah, “The Rover.” I hear that “Map to the Stars” is a really great film. I am looking forward to seeing it. 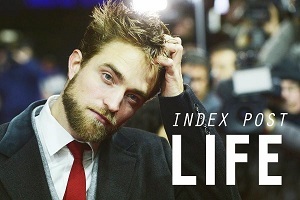 I was hoping to see “Life” announced as part of the TIFF 2014 lineup. Yeah, I was hoping that too, but we are too far from finishing, because we finished [shooting] in late October. Will we see it at on the fall festival circuit anywhere? I reckon it will be 2015. 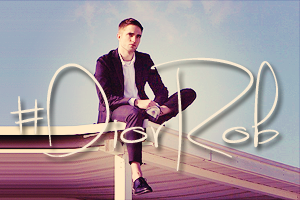 Like some of his recent films, it’s a very different movie for Pattinson. 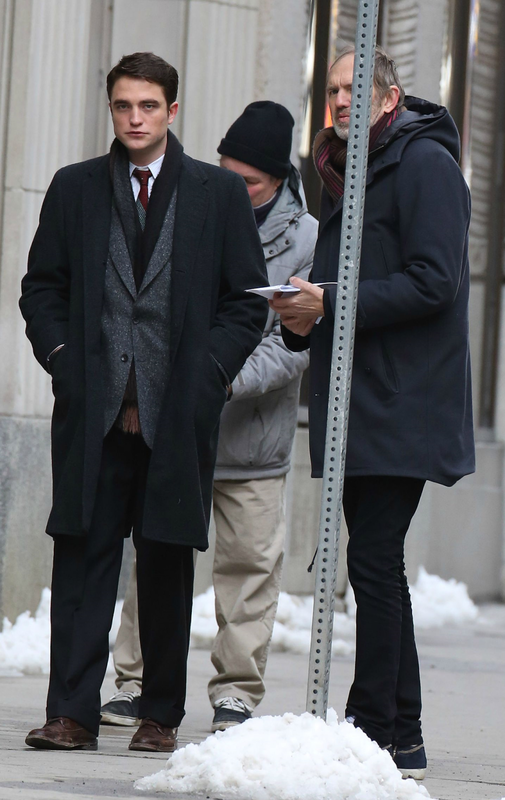 The screentime is easily divided between Dane DeHaan and Rob, and they’re very different actors. Rob, I think he’s working to be seen as a proper actor and not as a movie star. He takes a lot of challenging roles, and tries to work with directors that are a bit away from the mainstream. The fact that he maybe wants to prove himself as an actor was very good for the role of Dennis Stock, who wants to prove himself as being a great photographer. Also, for Rob to be on the other end of the camera was quite interesting. Did you give Pattinson advice on being a photographer? I got a camera to him quite a few months before we started shooting. An old Leica so he could put film in it and get comfortable with it. Rob was so handsome in this role. He can wear period clothing so well due to his tall, lanky frame. Hate to have to wait on this movie but I guess we have no choice.